Voice Management allows you to specify how to handle your messages. Use Unified messaging if you want to use your phone to retrieve messages. You can also just choose to send the message to your e-mail and not use the phone for messaging. 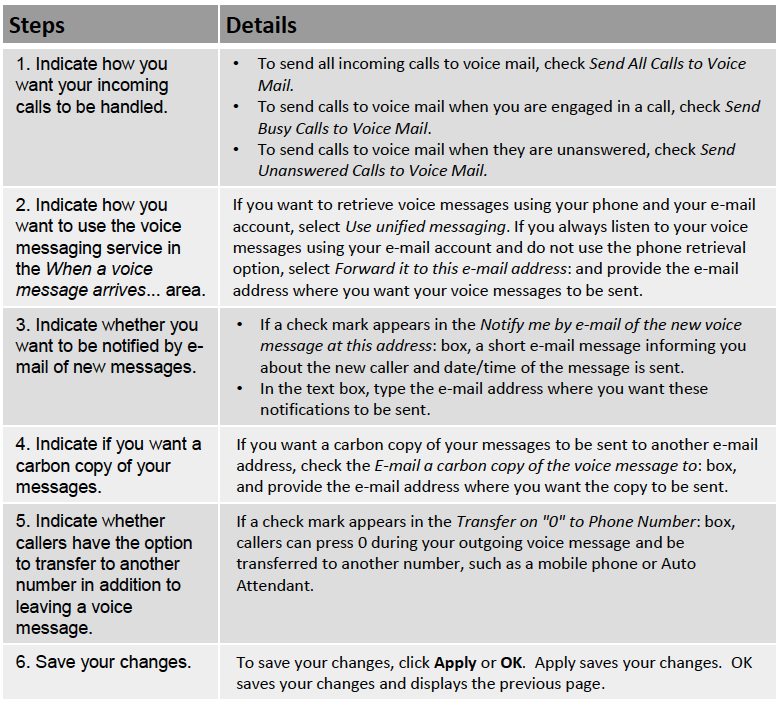 Note that the message settings here also apply to other types of messaging such as fax if enabled.